I was watching Adam Hamilton’s sermon on the meaning of Jesus’ death the other day. Here is what I heard. First, all theories of the atonement are metaphors. Taking them as literal is an error. It is poetry not economics or juridical practice. Second, the atonement is primarily about how the cross changes us. It is God’s message to inspire and motivate us. That is not all that was said, of course, but those were the two main ideas I heard. What about you? The church catholic has never designated any single theory of the atonement as orthodox. Or so we are often told. 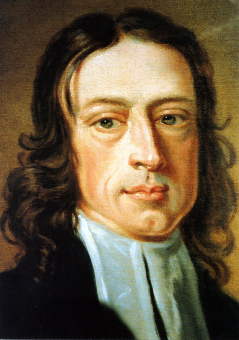 Nonetheless, those of us who claim the sermons of John Wesley as doctrinal standards do have some guidance on how to speak of the work of Christ. Not really Wesley’s words, of course. Most of the passage is constructed from the words of scripture and the Anglican Articles of Religion.But the thrust of it all clearly plays in the realm of satisfaction, sacrifice, and substitute. Oh wait, though. We don’t have to go to Wesley’s sermon for our language. We have it right in our own Articles of Religion. My interpretation of this as a pastor and candidate for ordination in the United Methodist Church is that my teaching and preaching is most faithful to my vocation in the UMC when I speak of the cross in these terms. Posted on March 7, 2014 March 7, 2014 by John MeunierPosted in Doctrine, MethodismTagged atonement, Cross, United Methodist Church. I’ve been reading Gustaf Aulén’s classic book Christus Victor this week. I was not reading it to guide my study of this week’s gospel lectionary text, but it sure has set off some interesting resonances. Aulén argued in his book that there are three broad types of atonement theories. The objective model, represented by Anselm and subsequent satisfaction and substitution theories, describes the primary focus of the atonement upward toward the Father. The cross is the place where the debt created by humanity’s sin is paid off. The subjective model, first articulated by Abelard and widely influential in the West since the 19th century, describes the primary focus of the atonement downward to those of us at the feet of Jesus. The cross creates a change in us. Against both of these models, Aulén argues for what he calls the “classic” theory, which he says goes back to the apostles. This theory views the atonement as an act in an unfolding dramatic conflict between God and the devil. We might think of it as a horizontal focus of atonement. The atonement defeats the devil. I thought of the book while reading the story of Jesus’ temptation in the wilderness. By Aulén’s thinking, the temptation is really just the opening skirmish in a contest that will be carried forward all the way to the cross and the empty tomb. The testing in the desert is not merely about teaching us some responses to difficult life challenges. It is not merely validation of Jesus’ status as the unblemished one who can reset the scales of divine justice by his death. It is the start of a battle that will be fought, not with guns and bombs, but with weapons of the Spirit. This is a reading of the text that passes through the cross, which therefore means it is shaped by our understanding of atonement. Whether that is a useful way to read and preach the text this week, I’m not certain. I’ll let the Spirit guide on that one.